The following families have genealogy eBooks on this page: Andrews, Baker, Bear, Carney, Draper, Fisher, Green 1754, Howard, Lawrence, McKean, Nutting, Pope, Prince, Reber, Shinkle and Sutcliffe families. Welcome to Bookshelf 16 at Hawkeyes Trading Post! Andrews Family History and Genealogy or Robert Andrews and his descendants. PDF eBook English 13.1 MB Year 1890. Robert Andrews settled in Ipswich, Massachusetts in the early 1600s. This eBook contains 10 generations of his descendants that spread across the U.S., and spans the years with vital dates from 1635 to 1889. There are 16 pages in an index of kindred including in laws that amount to over 1000 people! There are many Last Will and Testaments, and even a list of family member who served in the War Between the States. A great reference for any Andrews family genealogist! Price $6.95 USD. Bear Family History and Genealogy or The Descendants of Jacob Bear. PDF eBook English 15.7 MB Year 1906. In the mid 1700s Jacob Bear began raising a family in the American Colonies. A family that eventually spread across the U.S. This eBook contains vital dates that extend from 1747 to 1906. A period of near 160 years! There are numerous rare ancestral photographs that accompany this interesting genealogy of a great American colonial family! Print out the photographs to be framed. Price $6.95 USD. Draper Family History and Genealogy. PDF eBook English 18.8 MB Year 1892. 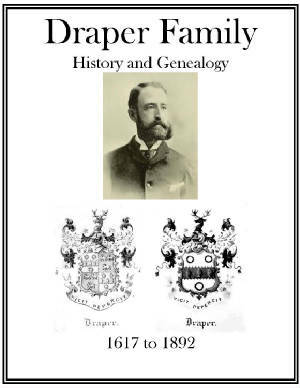 This eBook of Draper genealogy covers the time period from 1617 up to 1892. It includes parish records, baptisms, burials, marriages, several rare ancestral photographs, and an extensive index of descendants and in-laws on 32 pages. That’s over 1,200 people over a 275 year period! An excellent genealogical reference for the Draper family historian! Price $6.95 USD. 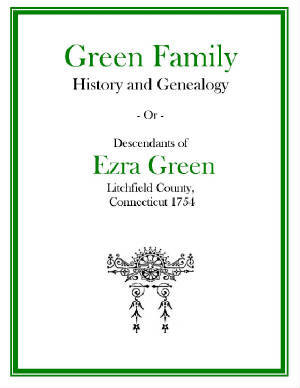 Green Family History and Genealogy or Descendants of Ezra Green 1754. PDF eBook English 8.18 MB Year 1899. Ezra Green became a young solder of ’76 in the Continental Army of Americas colonial days. 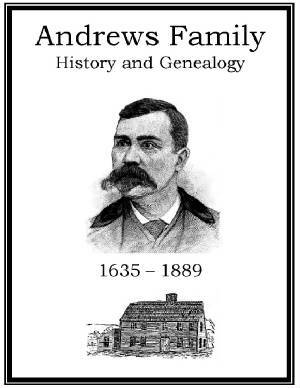 Hundred of his descendants are listed in this publication with brief stories, short biographies, family letters from the early 1800s, U.S. Government letters, and family postal addresses from the late 1800s. Vital dates range from 1754 up to 1899 providing excellent genealogical information for the Green family genealogist! Price $6.95 USD. 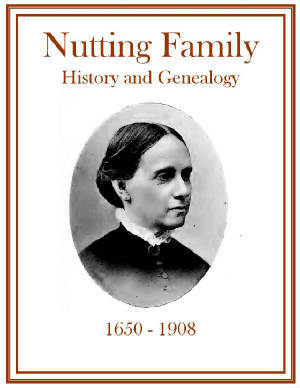 Nutting Family History and Genealogy PDF eBook English 14.8 MB Year 1908. John Nutting of Groton Massachusetts and 9 generations of descendents are listed in this publication. Numerous rare family photographs, maps, many family stories from early American colonial days, and vital dates that range from 1650 to 1908 are all included in this great reference of the Nutting family! This is a wonderful resource for genealogy! Price $6.95 USD. 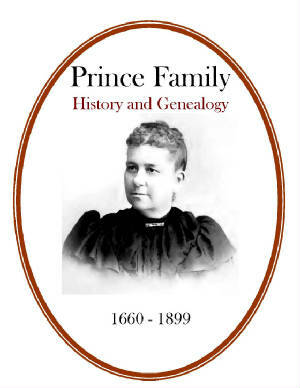 Prince Family History and Genealogy PDF eBook English 8.08 MB Year 1899. This publication contains 16 rare ancestral photographs, and a 21 page index listing Prince family members… as well as associated relations! Over a thousand listings are provided. Vital dates are given between the years 1660 and 1899 that will provide excellent documentation for Prince family genealogy. Poetry written during the Victorian era will also provide a unique family legacy passed on through the pages in this family history! Price $6.95 USD. 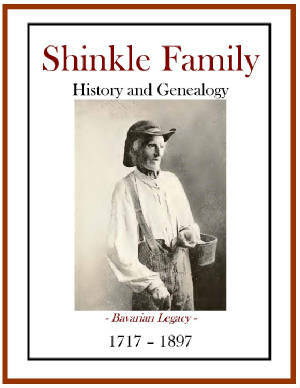 Shinkle Family History and Genealogy PDF eBook English 13.2 MB Year 1897. The ancestral home of the Shinkle family is the town of Edenkoben, in the Rhenish Palatinate of Bavaria. In the pages of this fascinating history can be found numerous rare ancestral photographs, etchings, and an index of nearly a thousand names being referenced! Truly this publication is a treasure of family heritage for Shinkle family genealogy! Price $6.95 USD. Baker Family History and Genealogy. PDF eBook English 4.72 MB Year 1909. Francis Baker arrived in the American Colonies aboard the ship Planter in 1635 from St. Albans, Hertfordshire, England. His descendants spread across North America over the next 298 years. 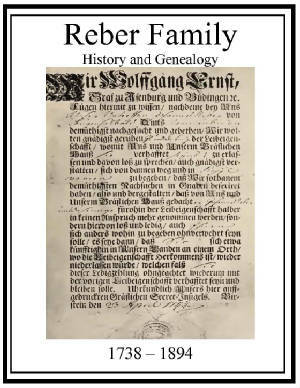 Spanning the period from 1611 to 1909 this publication provides several rare ancestral photographs, compiled family statistics, an index of over 350 people, and a lineage of 12 generations with vital dates and places! 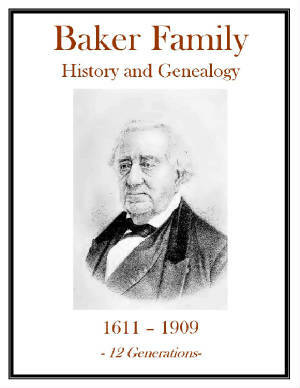 This is a great resource of Baker family genealogy! Price $6.95 USD. Carney Family History and Genealogy or Descendants of Mark Carney and Suzanne Goux. PDF eBook English 11.7 MB Year 1904. 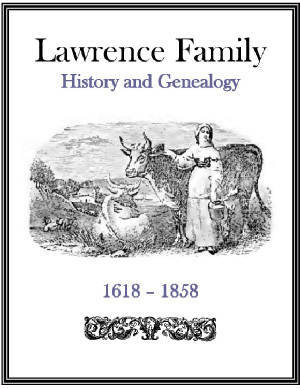 This publication covers a period of over 265 years of descendants in the Carney family! Vital dates range from 1636 to 1903, an index of 13 pages lists over 1000 descendants and in-laws. There are biographies on many family members, and numerous rare ancestral photographs that may be unique to this eBook! A great source of family genealogy for any Carney family member! Price $6.95 USD. Fisher Family History and Genealogy. PDF eBook English 11.8 MB Year 1896. John Fisher arrived in the American Colonies aboard the ship Welcome in the late 1600s. This eBook contains over 40 rare ancestral photographs, maps, silhouette caricatures, Last Will and Testament, a 37 page index of kindred, and vital dates on over 500 descendants and in-laws that range from 1682 up to 1896. Over 200 years! 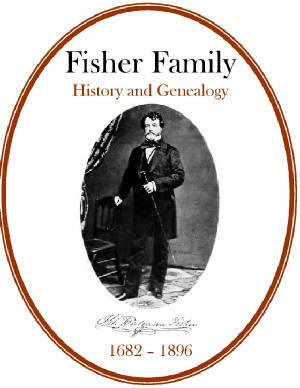 A wonderful resource of Fisher genealogy! Price $6.95 USD. Howard Family History and Genealogy. PDF eBook English 13.4 MB Year 1903. A well documented publication providing vital dates ranging from 1643 up to 1901. The family Coat of Arms is displayed, with numerous rare ancestral photographs that can be printed out and framed. There are 9 generations of descendants with a 44 page index, which provides over 1500 Howard descendants! Originally from Bridgewater, Massachusetts in the mid 1600s kindred have spread across North America. 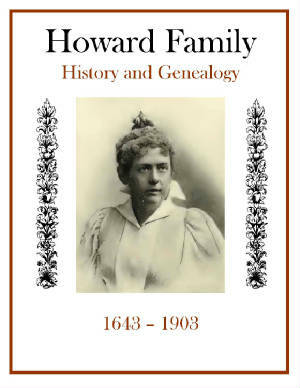 This is a great resource for the Howard family genealogist! Price $6.95 USD. McKean Family History and Genealogy. PDF eBook English 17.2 MB Year 1912. Thomas McKean was an acting President of Congress in 1781 five years after the United States was founded and 13 years before Washington was elected President. He also signed the U.S. Declaration of Independence. 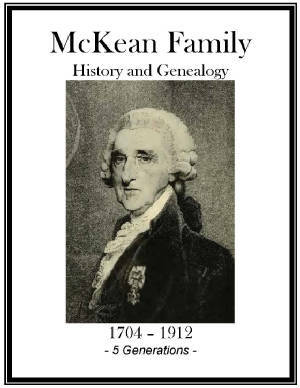 Vital dates of McKean family descendants and ancestors range from 1704 to 1912 in this great resource! Historical documents and a 14 page index of names and references are contained in this publication. This provides fresh insight for the McKean family genealogist! Price $6.95 USD. Pope Family History and Genealogy PDF eBook English 1.1 MB Year 1879. This publication is written in a storybook format much in the way that tradition is passed on in oral histories. 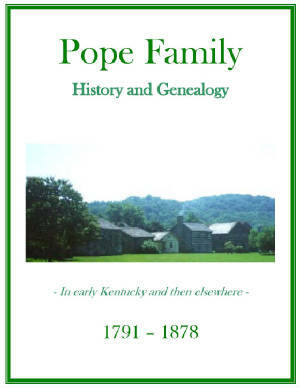 Many Pope descendants are listed here, that originated in the hills of early Kentucky history with the honorable Colonel William Pope and his wife Penelope nee Edwards. Names of family members extend from the year 1791 up to 1878 with the families listed in groups. But, although family members are named in their respective households many dates are not provided in which to coincide. Only 15 pages in length, this publication may be unique in providing genealogical data for Pope family historians! Price $6.95 USD. Reber Family History and Genealogy PDF eBook English 2.15 MB Year 1901. The passport of Johannes Reber, dated April 23, 1742, adorns the cover of this eBook with 7 generations of his descendants listed between the pages. Several rare photographs are provided along with vital dates of ancestors that range from the year 1738 up to 1894. Over 150 years! Carving a hardy life in the American Colonial days this book provides those Reber descendants that embraced the challenge. 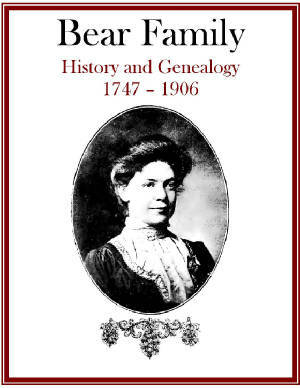 A great source of genealogy for Reber family historians! Price $6.95 USD. 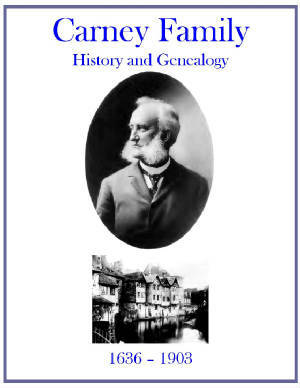 Sutcliffe Family History and Genealogy PDF eBook English 12.4 MB Year 1897. The Sutcliffe legacy begins with a brief account of the English ancestry back to the year 1500. Throughout this publication you will find numerous rare ancestral photographs, which can be printed out per page and framed for your enjoyment! The family crest is also presented along with an index of thousands of descendants and in-laws! 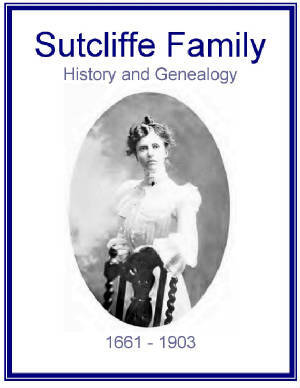 An excellent source of genealogy for any Sutcliffe family member! Price $6.95 USD.